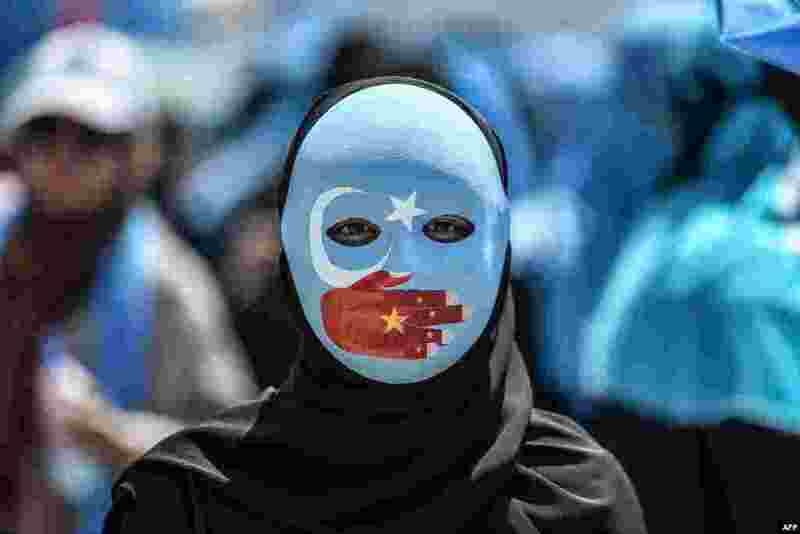 2 A demonstrator wearing a mask painted with the colors of the flag of East Turkestan and a hand bearing the colors of the Chinese flag attends a protest against China's treatment of ethnic Uighur Muslims during a deadly riot in July 2009 in Urumqi, in front of the Chinese consulate in Istanbul, Turkey. 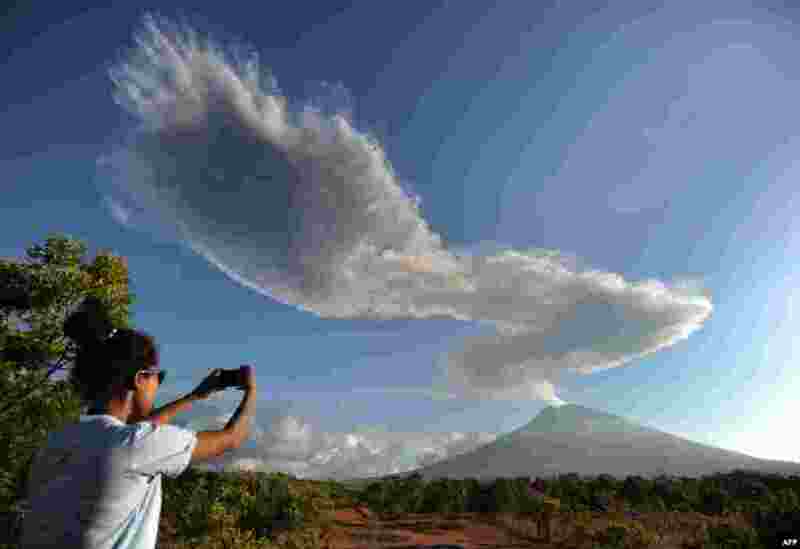 3 A woman takes photos as Mount Agung volcano sends up another plume of smoke, seen from the Kubu subdistrict in Karangasem Regency on Indonesia's resort island of Bali, Indonesia. 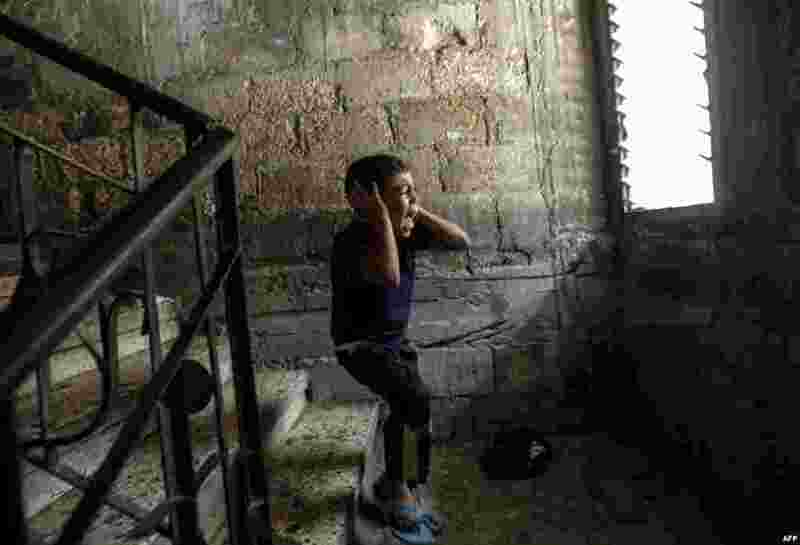 4 The brother of Palestinian Mahmud al-Ghrabli 16, cries during his funeral procession in Gaza City. 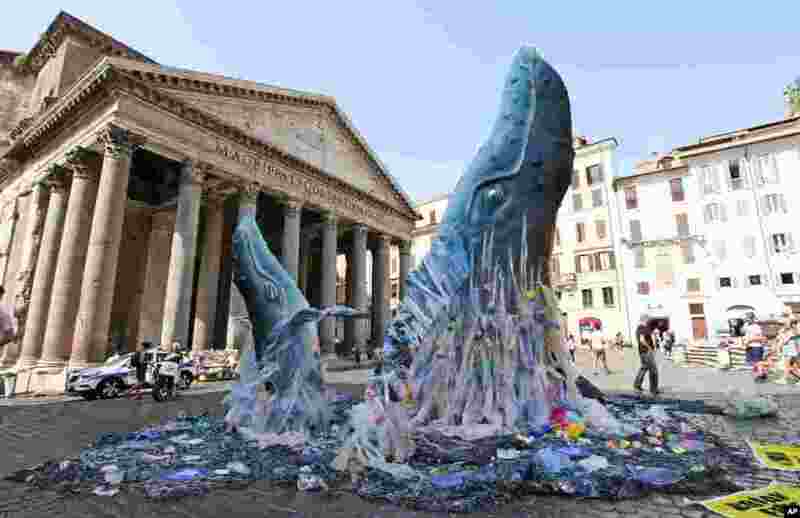 5 The life-size reproduction of two whales emerge from a sea filled with plastic waste in front of Rome’s Pantheon, Italy.